Spiders not only cause irritation by moving into your home but also create webs at different locations which will ultimately result in your house not looking more elegant as before. It is required to get rid of these spiders in order to get rid of these kinds of issues. One should have the best selection of the alternative which is suitable for their house to get rid of the menace created by spiders. The first step of an effective termite control process is detecting the colonies within and around a property near Raleigh - Cary NC. Termites tend to hide, so it is important to note ways of telling when termites are within and around a property. Most termite infestations require the service of termite removal companies. Early detection of termite infestation helps in preventing further damage to properties. Termites live in colonies; termite exterminators aim to destroy all existing colonies and prevent the establishment of new ones. To increase the number of colonies, termites propagate in warmer temperatures and during rainfall. During spring, termites known as warmers disperse to form new colonies indoors and outdoors. Swarmers that emerge from existing colonies pair and mate to begin new colonies. Termites are thus more noticed in homes during spring. 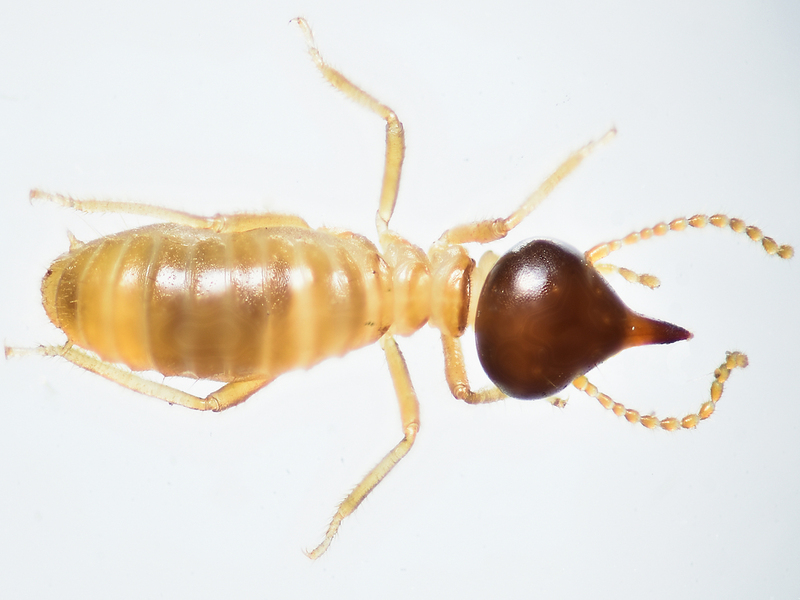 A single termite seen within a home is a sign of trouble since it is most likely a swarmer hoping to start a new colony. Swarmers survive better outdoors than indoors. Although swarmers may not survive indoor, the presence of one indicates an existing colony within the home. Swarmers are attracted to light, and they could be found close to doors and windows. They are also wingless as they lose their wings when they fall to the ground to start new colonies. Apart from swarmers seen indoors, mud tubes in support piers, foundation walls, and sill plates are indications of a termite infestation. As termites travel from their underground colonies to their source of food, they build mud tubes to provide shelter from the elements. Not all mud tubes are active. An active mud tube can be detected by breaking the tube and checking for worker termites which are usually white. Termites may abandon these tubes as they travel deeper into the structure. Hence an inactive mud tube does not mean that there are no termites within the property. The emergence of winged termites from the foundation of a structure is also a sign of trouble. Termite exterminators examine areas surrounding the foundation wall for winged termites. These termites are usually part of a colony, and the services of a termite removal company should be to ensure effective termite control. Signs of damage caused by termites is another way of detecting a termite infestation. This method of detection is not reliable as termite may destroy a structure from the inside without any outer sign of the damage. Wood damaged by termites are hollowed out in galleries with traces of mud around the galleries. Termite dropping can also be found around wood that is infested by termites. The signs of a termite infestation are not very clear. They could be mistaken for damage caused by other pests and environmental factors. The services of a pest removal company may be needed to confirm a termite infestation. Experienced termite exterminators apply their skills and professional experience in detecting termite colonies. It is important to store wood properly and dispose wood stumps around a property to reduce the hiding places of ants. Termite control processes also include regular inspection which can be carried out by property owners or experienced exterminators. Do you need pest control in Durham NC? Check out Go-Forth pest control of Raleigh. Our local Durham exterminators can help you exterminate with all types of bugs on your home or business, Go-Forth serves both residential and commercial customers. Go-Forth has been in business since 1959, our experience makes us the best local exterminator in Durham North Carolina. Roaches, specially German roaches can be very difficult to exterminate, there are some roaches like wood roaches that live outside, these roaches get inside your home by accident they prefer to live outdoors, eventually wood roaches will leave your home on their own, unless they find a water and food very easily. Sometimes getting rid of roaches can be done with over the counter roach sprays or gels, if the roach infestation is not so bad, this treatment will work sometimes. Roaches get thirsty too, they need water to survive, and they will usually live around where there is water to drink at night. Cockroaches love kitchen sinks with water in it, if you have roaches, visit your kitchen sink and you will notice how they will roam this area, that's because it will have food at the sink pluming and plenty of water for them to drink. Roaches will visit your trashcan at night, it's like a buffet of all kinds of delicious food for them, sealing the trash bag at night and emptying it will make sure they don't feast all night long. Whether it is weeds in the vegetable garden or ants in the kitchen, pests can be irritating. So also many people are not concerned about pest control and the difficulties caused by pests as well as the insecticides we use to control pests. Pest control treatment must not be an optional home improvement service; it must be compulsory. Having a pest control specialist at your home frequently will make a big difference in maximizing your safety from bugs. Not only will it stop a dreaded pest infestation with creepy bugs crawling everywhere in your home, but it will also help to maintain a healthy and clean home. Some company offers professional pest control service which will spot pests that can cause structural damage quick so that you can maintain the appearance and lifespan of your home. However not all pests attack the arrangement of your home, some pests produce difficulties with electrical wiring or most time spread an infection to occupants. • How and when should pesticides be used? • Are the pesticides available, effective and safe? • How can pests be reduced and controlled safely? Pests such as ants, mice, flies, and cockroaches are common in apartments and houses. There must be an effective pest control to stop pests from increasing in houses, which include pest control, pest prevention, and effective pest management. Another solution for pest control is to make use of chemical pesticides. If misused, home- pesticides can be toxic to humans. Whenever you’re using chemical pesticides for pest control, the most significant thing to consider is selecting the right pesticide product. Another effective way of controlling pests is using the natural method. This is the method of using pest's natural enemies to control them. Centipedes, spiders, ants and ground beetles are some of the beneficial bugs. This method is not dangerous to people in anyways and can be applied effectively. Flea control is very important, fleas can bring diseases to your pests and family. Fleas can also multiply very quickly, don't let your dogs or cats suffer any longer. Dogs can get contaminated with fleas from the outdoors or from other dogs they get in contact with. At first sight of a flea problem its very important to try to get rid of them by washing your pets. When you're ready to hire an exterminator make sure they used safe flea control treatments. Do you need an exterminator for flea control in Raleigh NC? Go-forth pest control of raleigh can help you exterminate fleas from your home and pets. This exterminator company has been dealing with fleas for a long time, their techs have years of experience dealing with flea infestations in the area of Raleigh NC. If you need flea control services near raleigh, don't forget to contact an experienced exterminator that can get rid of your pest problems fast and effectively. Pest control in Raleigh - Dealing with roaches and rodents can be a nightmare, very often these pests multiply quickly and create an infestation fast. Raleigh NC has many competent exterminator companies, always make sure you check the online reviews of the exterminator company you wanna do business with. Do you need pest control in Raleigh NC? Extermination of pests sometimes can be very stressful, pest must be exterminated as soon as possible before they form an infestation. 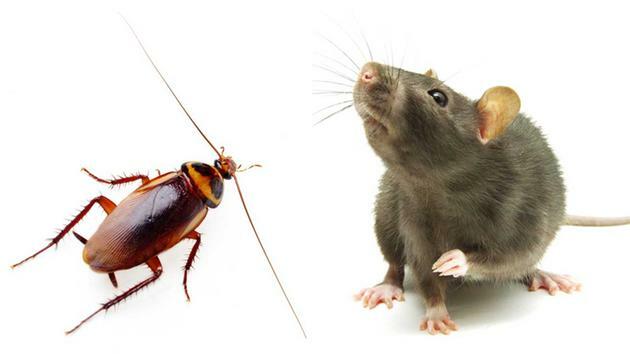 Roaches and rodents can multiply very fast, roaches and rodents can bring diseases to your home. For local pest control companies in Raleigh we suggest Go-Forth Pest Control of Raleigh. They have been in business since 1959, they have years of experience dealing with all types of pests like Termites, Ants, Roaches, Rodents, Mosquitoes, Spiders, Rats & Mice.